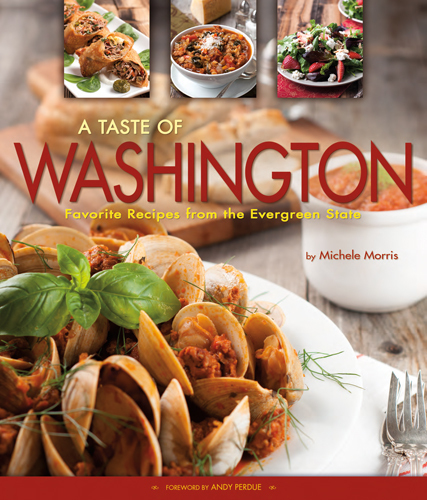 It is with extreme excitement that I announce my second cookbook, A Taste of Washington: Favorite Recipes from the Evergreen State! I received my advance copy of the book just this week and am so excited to share it with all of you. 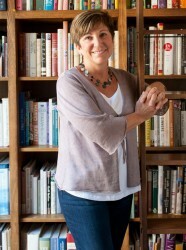 You can place advance orders on amazon.com or by calling the Farcountry Press at 800-821-3874. If you are here in Colorado and would like to be added to the list of guests for a launch party in late August, please contact me so I can include you. 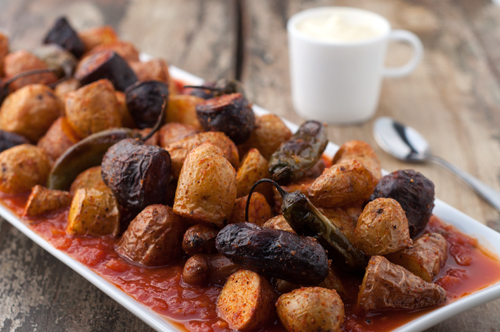 Meanwhile, let me share one of my favorite side dishes from the cookbook, Patatas Bravas. This is how you – very easily – turn simple potatoes into something worth inviting guests over for. This dish can be found in some variation in almost every tapas bar in Barcelona, which inspired the chef to add it to the menu at Saffron, where it has since become a classic. Freeze any extra tomato sauce for another use. For the potatoes:Adjust the oven rack to the lowest position and heat the oven to 450 degrees. Toss the potatoes with the oil, chiles, salt, and pepper. Place the potatoes cut side down on a rimmed baking sheet and roast until tender and golden brown, about 20 to 30 minutes. For the spicy tomato sauce: Heat a medium saucepan over medium heat and add the olive oil. Add the onion and garlic and cook until soft and lightly browned, about 5 minutes. Add the chiles and brown sugar, and cook 5 minutes more. Add the tomatoes and bring to a boil. Reduce the heat and simmer for 30 minutes, stirring often. 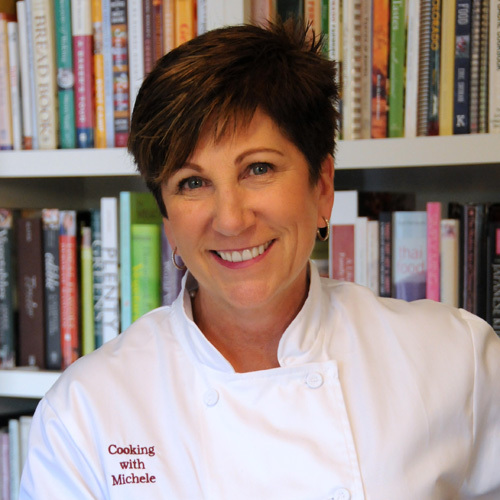 Coarsely puree the sauce with a stick blender or in a food processor, and season with salt and vinegar to taste. 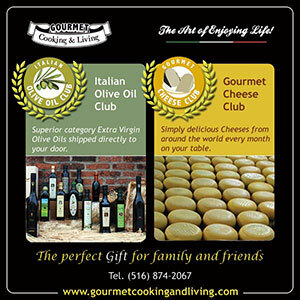 The sauce may be stored for up to 1 week in the refrigerator or up to 6 months in the freezer. For the aioli: In a medium bowl, beat the egg yolks with a wire whisk until light and fluffy and then stir in the garlic. Gradually whisk in the oil in a thin stream, whisking constantly until light and creamy. Stir in the lemon juice, season with salt and pepper to taste, and refrigerate until ready to use. For the brava salt: Combine the salt, cumin seed, and coriander seed in a spice grinder and process until fine. Combine the mixture with the two types of paprika and the cayenne pepper. Store in a covered container in the pantry. To assemble: Spread spicy tomato sauce on the bottom of a large serving platter. Sprinkle the roasted potatoes generously with the brava salt and place in the serving platter over the spicy tomato sauce. Garnish with the roasted chiles and green onions and serve with the aioli sauce for dipping. Congratulations Michele! And the dish looks fabulous.